NEW YORK — Shares wavered in thin but volatile trading in Asia on Thursday, following a bleak day on Wall Street led by declines in health-care stocks as outrage mounts over steep price hikes for Mylan's EpiPens. Investors are awaiting a speech by Federal Reserve chair Janet Yellen's on Friday. KEEPING SCORE: Japan's Nikkei 225 index fell 0.3 percent to 16,555.11 while Shanghai's Composite index lost 0.7 percent to 3,064.52. The Hang Seng in Hong Kong was flat at 22,830.12 and South Korea's Kospi edged 0.1 percent lower to 2,045.47. Shares in Southeast Asia were mixed and Australia's S&P/ASX 200 was flat at 5,561.60. 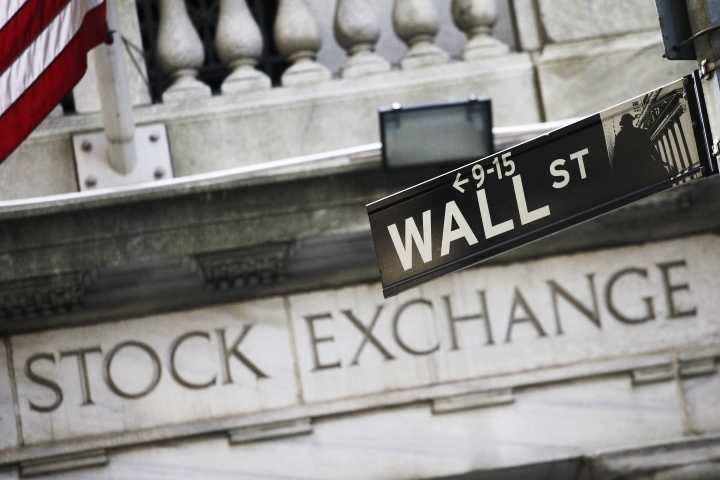 WALL STREET: The Dow Jones industrial average lost 0.4 percent to 18,481.48, the Standard & Poor's 500 index lost 0.5 percent to 2,175.44 and the Nasdaq composite lost 0.8 percent to 5,217.69. Losses deepened with a late-day sell-off in drugmakers. Mylan dropped $2.47, or 5.5 percent, to $43.15 after falling nearly 5 percent the day before. But shares are trading in a narrow range with many traders on vacation and sparse new economic data. MYLAN'S TROUBLE: Outrage over Mylan's price increases for its EpiPens, medical devices used to deliver adrenaline to a patient suffering from a potentially fatal allergic reaction. Mylan bought the rights to the product in 2007 and has raised the price from roughly $100 for two pens to roughly $600. Presidential candidate Hillary Clinton issued a statement Wednesday calling Mylan's price increases "outrageous" and called for the company to slash prices for EpiPens. ANALYST VIEWPOINT: "The Asian session looks like it will struggle at the open after a poor close from U.S. markets. Low volumes and cautious trade are likely to dictate markets in the lead up to Janet Yellen's speech on Friday," Angus Nicholson of IG said in a market note. ENERGY: Benchmark crude oil edged up 1 cent to $46.78 a barrel in electronic trading on the New York Mercantile Exchange. It fell $1.33 to $46.77 a barrel on Wednesday. Brent crude, which is used to price oil internationally, lost 2 cents to $49.03. It fell 91 cents to $49.05 a barrel in London. CURRENCIES: The dollar was nearly flat at 100.47 yen while the euro rose to $1.1268 from $1.1263. AP Business Writer Ken Sweet in New York contributed.